Look no further! 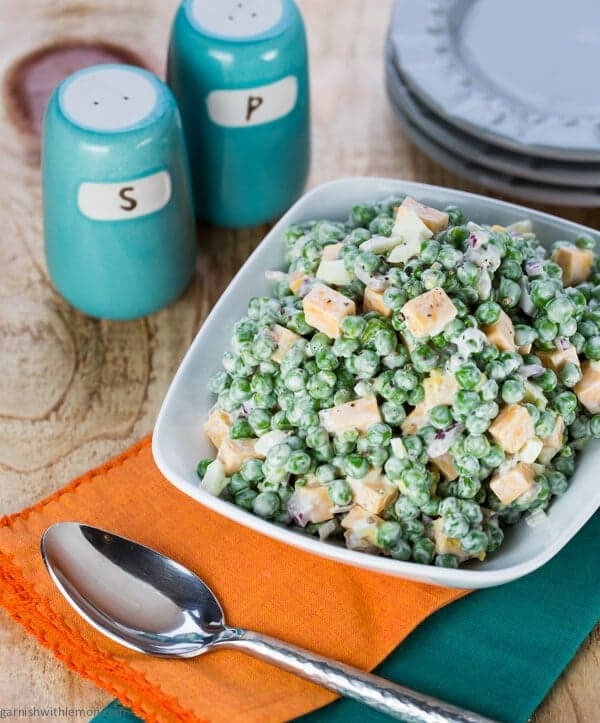 This Easy Pea and Cheese Salad is just what your Memorial Day Picnic Menu needs to be complete! 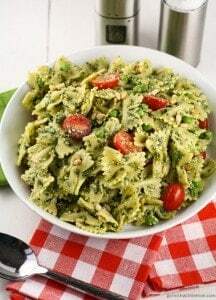 Pea Salad – kind of a funny name, right? I don’t think anything of it since I have been eating pea salad forever; it’s one of my dad’s favorites. But Kevin and the kids and looked at me like an alien when I told them what was for dinner. After checking that I hadn’t grown another head, I reassured them to try it before they knocked it. And like the good family they are, they loved it. Well, Kevin and Charlie loved it; Greta ate it. (Progress people, I’ll take it however I can get it.) But the weird thing was, Greta picked out peas to eat and left the cheese. Not sure how any child of mine would do something like that. I always make my Pea Salad with frozen peas, which makes it a super easy side dish and ensures the vibrant color of the salad. Add a little chopped onion, hard-boiled egg and some quality cheddar cheese, and you’re in business. I updated my dressing to be half mayo and half greek yogurt. I love the added tang, and who can say no to the additional protein? What are you waiting for? This Easy Pea and Cheese Salad is calling your name. 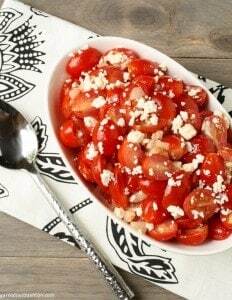 It’s a perfect accompaniment to anything off the grill and is just what your Memorial Day menu needs to kick summer off on the right foot. In a medium bowl place the peas, cheese, onions, and egg. Stir gently to combine. In a small bowl, combine the mayo and yogurt and stir until thoroughly combine. Season to taste with salt and pepper. Spoon dressing over pea mixture and stir gently to combine. Refrigerate until serving. I love the way crisp green beans just pop in your mouth…What a perfect spring/summer side! What a simple and complete side dish. 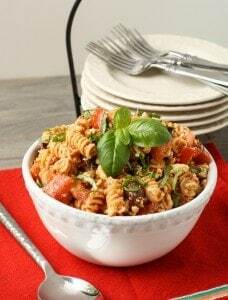 Or maybe it’s even the main dish and I can just pair it with a salad for a light dinner. Love the use of yogurt instead of mayonnaise. This is toooooooooo simple. Something a little different for a quick salad. For some bizarre reason I am feeling a bit of a craving for this salad now. Not often I get the nibbles for pea salad. Weird.